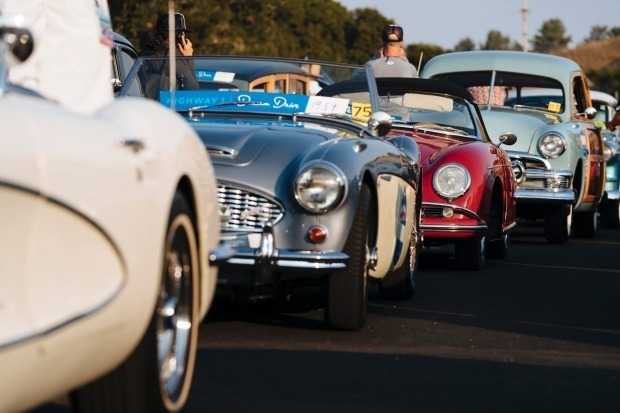 The Dream Drive celebrates the reopening of Highway 1, California's most epic road trip, Aug. 9, 2018, with a convoy of classic cars from Monterey to Morro Bay. 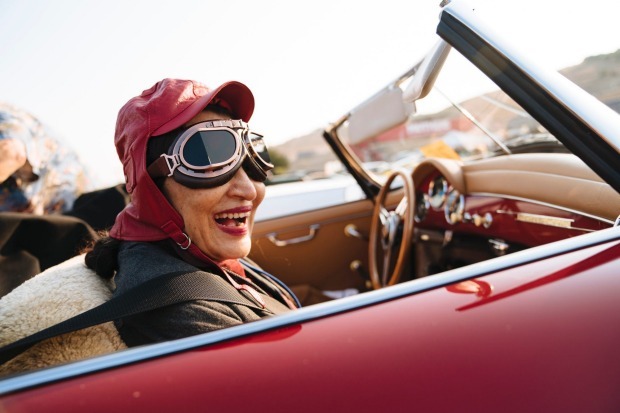 The Dream Drive celebrates the reopening of Highway 1, California's most epic road trip, Aug. 9, 2018, with a convoy of classic cars from Monterey to Morro Bay. Pictured here is the repaired road after the landslide at Mud Creek. 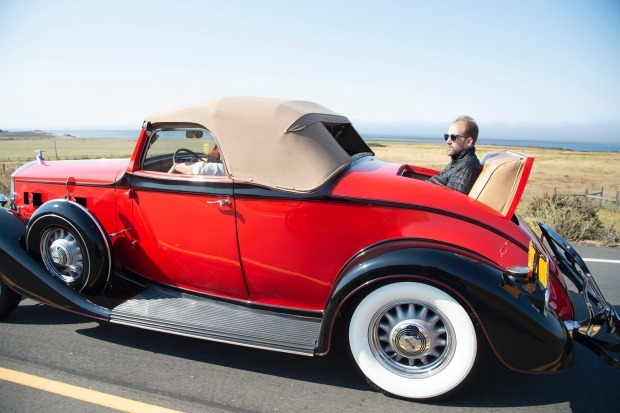 The Dream Drive celebrates the reopening of Highway 1, California's most epic road trip, Aug. 9, 2018, with a convoy of classic cars from Monterey to Morro Bay. 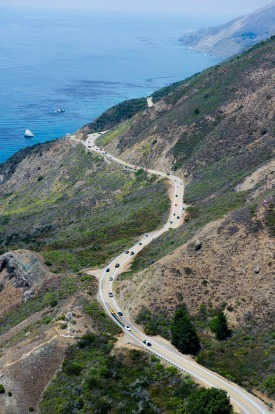 Coastal overview near Ventana Big Sur. 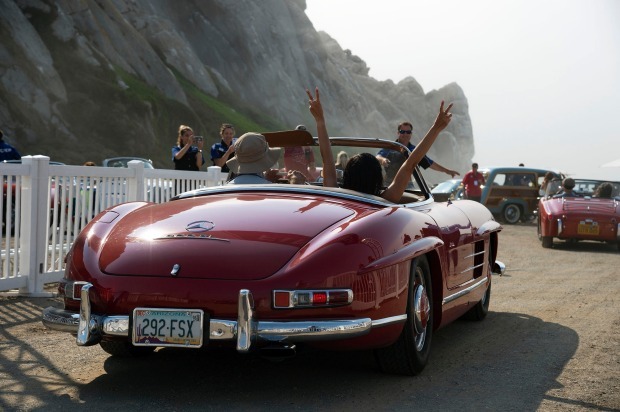 The Dream Drive celebrates the reopening of Highway 1, California's most epic road trip, Aug. 9, 2018, with a convoy of classic cars from Monterey to Morro Bay. 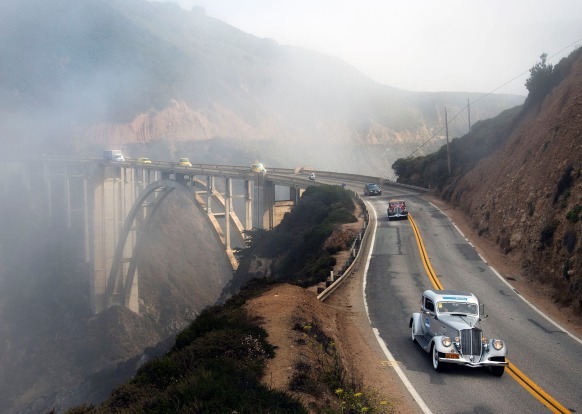 Cars cross the iconic Bixby Creek Bridge while driving from Monterey to Big Sur. It's not drawing a long bow to call this one of the most beautiful coastal passages in the world. 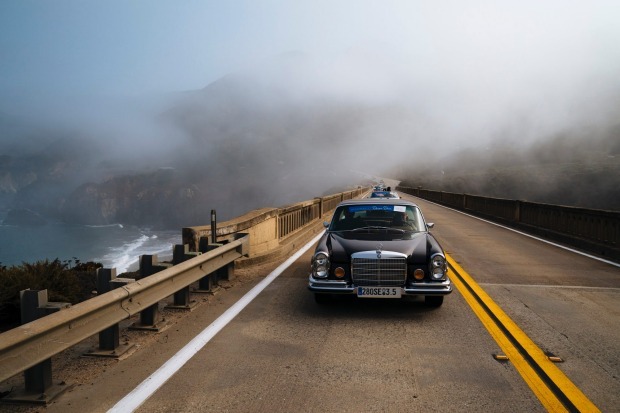 Flanked on one side by mountains, on the other by the Pacific Coast, California's Highway 1 hugs the coastline in Big Sur National Park from Carmel in the north to San Simeon in the south. 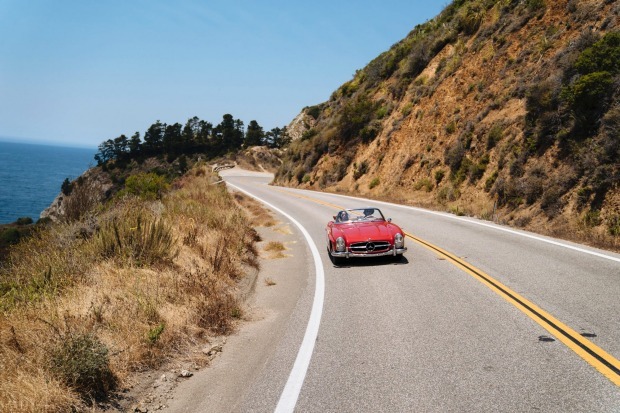 But what makes it even more special is that for 145 kilometres, you can drive the four-hour long coastline with almost uninterrupted views of the sea, and where every turn unveils dashing mountain scenery or a secluded inlet. And while waves pound the jagged rocks below along the Pacific Coast, above, fields of bright orange Californian poppies blanket the mountains. 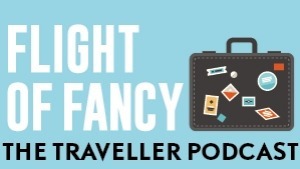 You don't even need to stop, but if you do, you'll be rewarded with pirate coves, iconic waterfalls, and purple sand beaches glittering in the sunlight. But beauty often comes at a price. This seductive landscape was created by the Santa Lucia mountain range, which straddles the notorious San Andreas fault. Extreme weather can play havoc with this delicate environment, and sometimes, like in Australia, all it takes is Just. One. Match. 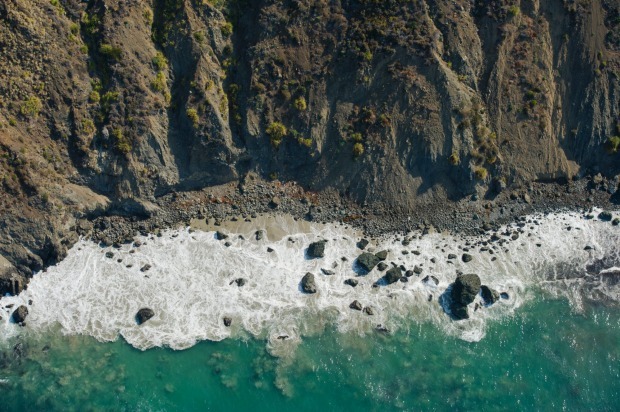 Trouble began with a harmless but illegal campfire to the north of Big Sur in Garrapata State Park on July 2016, at the end of a five-year drought that had turned California into a tinderbox. It sparked a massive wildfire that raged for 82 days, continuing well into October, causing millions of dollars of damage and closing the surrounding Pfeiffer Big Sur State Park. Then the rains came. While they helped quell the fires, any relief they brought turned to alarm when the rains transformed into fierce Pacific storms that pummelled the coastline. Locals knew what was coming next. 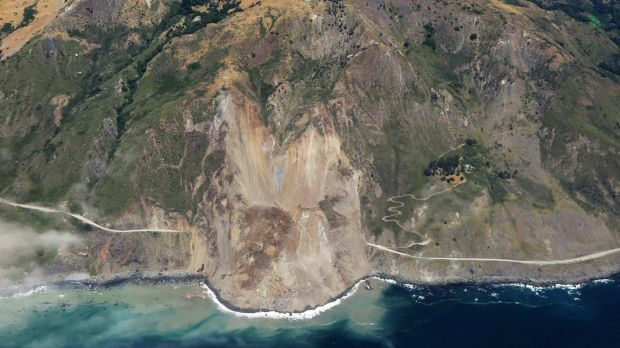 During the first month of 2017, minor landslides hit the southern sections of Big Sur, closing the road at aptly named Mud Creek. Then, about 65 kilometres to the north, a hiker noticed an innocuous bridge was "sagging". A landslide had pushed a supporting column of the Pfeiffer Canyon Bridge off-centre, causing it to slump. 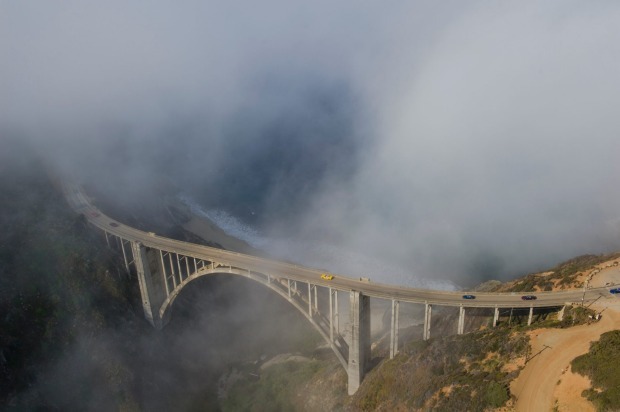 Days later, the bridge was condemned, effectively cutting off the population of Big Sur from the rest of the US. Jim Shivers, a spokesperson from Caltrans – the Californian Department of Transportation – said work crews were pulled out of the Mud Creek area as they had "a strong feeling that something larger was going to occur". And they were right – nature struck again, causing the "mother of all landslides". 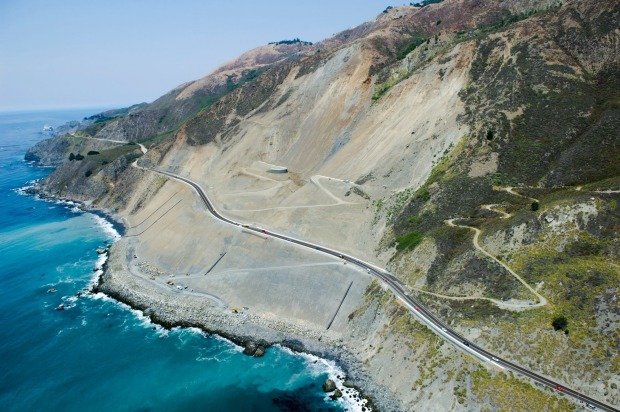 A huge section of the craggy mountain slid into the ocean, adding a massive five hectares to the Californian coastline in an instant and dramatic transformation. The landslide, the largest in the state's history, buried the old road under 24 metres of rock and dirt at its deepest point, leaving the hillside above it dangerously unstable. These two major events consolidated the isolation of the 350 people living within the road's constraints. Locals had no way of buying groceries. Services such as garbage collection and mail delivery were gone, children were without schools, and, significantly, no tourists could bring the cash that sustained its economy. Hotels inside the park stood to hemorrhage $US2 million a week. As work began to rebuild the road, the survival instinct of the area's residents kicked in. A hiking trail was cut to allow walking access to shops and schools. Hotels used the guest-free time to carry out renovations, which also kept some staff employed. 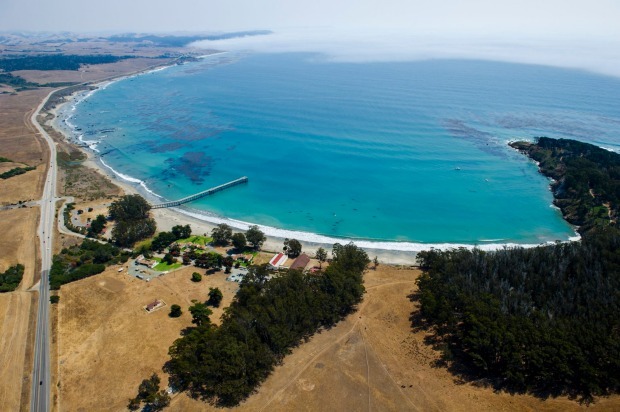 For Gary Obligacion, general manager of exclusive clifftop Post Ranch Inn north of Big Sur, the bridge's failure meant that almost overnight, the secluded property, a favourite of A-list celebrities, became an "island resort". 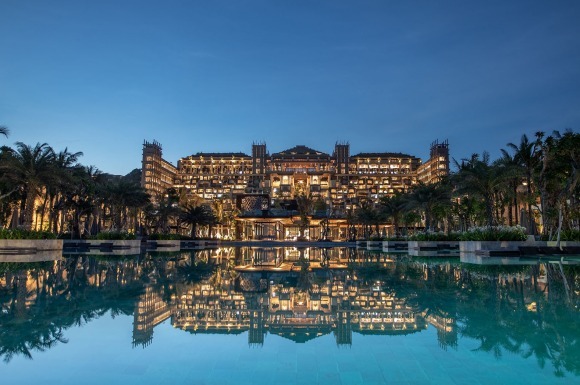 "During the two months of closure, we developed an innovative solution to keep the resort open and retain our dedicated employees by bringing guests in via helicopter," says Obligacion. That solution – dubbed "Escape through the Skies" – was subsidising the cost of a helicopter flight from nearby Monterey to the resort. This two-pronged program also helped support local Big Sur businesses and the community by providing a much-needed injection of cash. "The program meant we were able to keep 150 staff employed, 100 who lived on the property with their families, plus it generated much-needed attention and support for the local community," he explains. 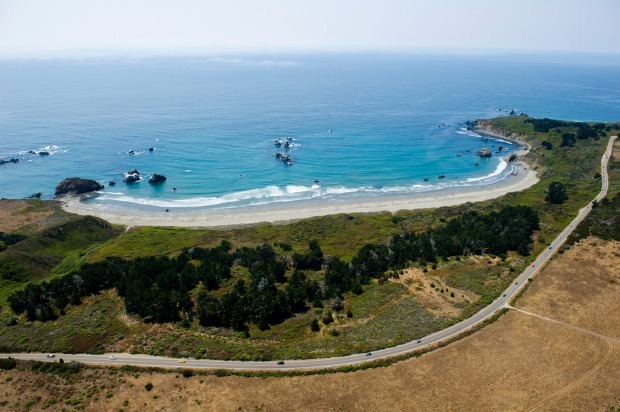 They also established a school on site to help Big Sur's isolated children. 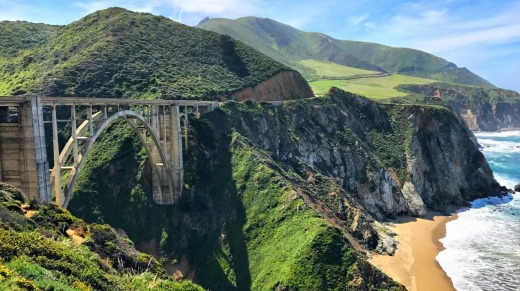 Eight months passed before Caltrans finished rebuilding Pfeiffer Canyon Bridge and opened it to the public on October 17, 2017, which made the northern parts of Big Sur accessible to the public again. 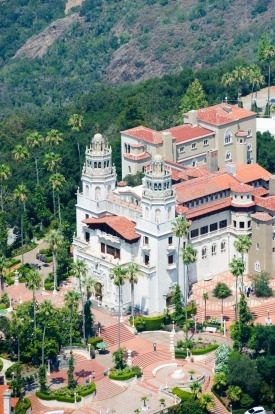 While this helped businesses in the north, traffic was still dwindling and the south continued to suffer, including major tourist attractions such as Hearst Castle. 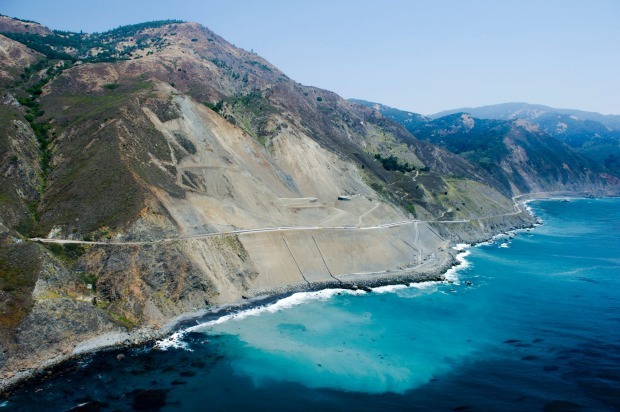 It would take Caltrans a further 10 months – and $US54 million – to repair the road buried under the landslide at Mud Creek and restore access to the southern half of Highway 1, which officially opened to the public on July 20, 2018. Mud Creek following the road repair. However, a bigger celebration was due. 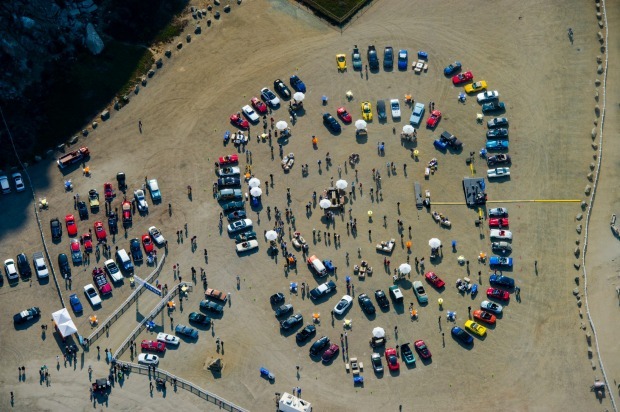 A historic convoy, or "dream drive", featured 200 visitors flown in from around the world to drive the 145-kilometre stretch as it should be done – in a classic car, preferably a convertible. 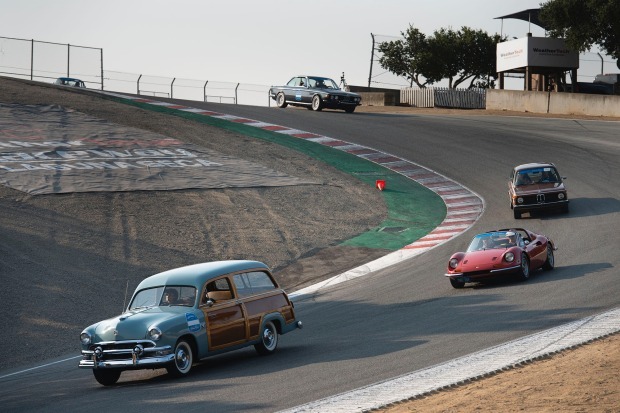 Starting at the WeatherTech Raceway Laguna Seca track in Monterey, the journey included Australian racing car legend Craig Lowndes, who traded in his Supercars Holden ZB Commodore for a 1970 Chevrolet Corvette Stingray for the day. 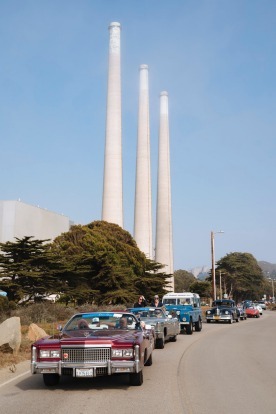 The 80-car strong convoy snaked its way along the scenic highway until it reached Big Sur's southernmost towns of Cayucos and Morro Bay, cruising across the finish line at the base of the Bay's iconic rock. As locals lined the streets to give the convoy a hero's welcome, it was clear why no expense had been spared in spreading the message on an international scale. 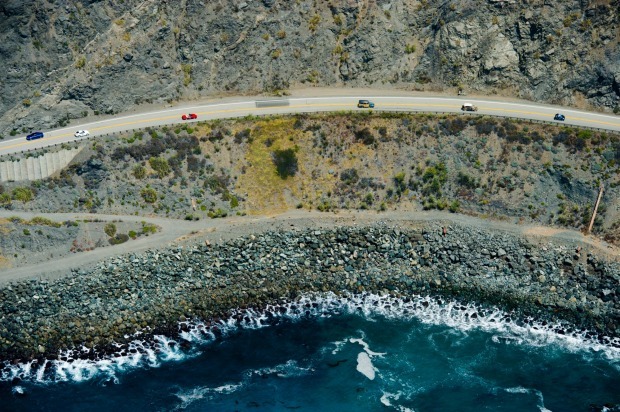 And while locals and tourists alike welcome the highway's reopening, Caltrans are well aware of the road's continued vulnerability. 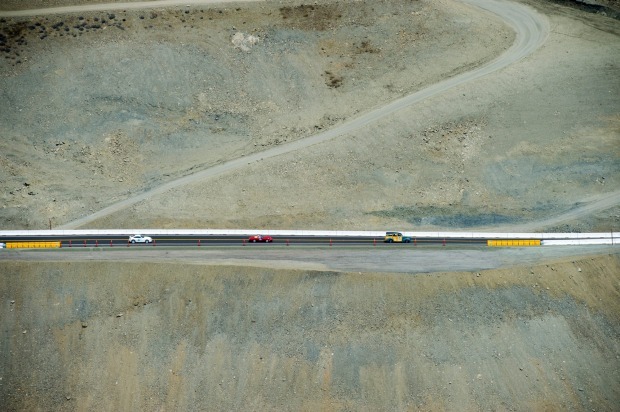 "Engineers are problem solvers by nature and we accept that this highway rests at the edge of the continent and may pose challenges in the future," says Shivers. "Our maintenance and construction teams are ready to respond to any large disaster when they might occur." 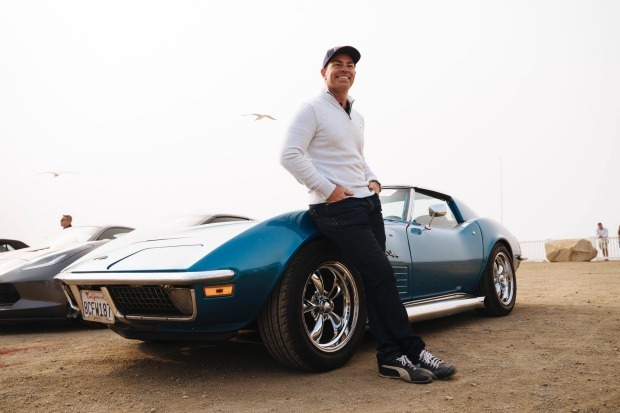 For first-time California visitor Craig Lowndes, the reopening of the iconic highway is something he'll always remember. 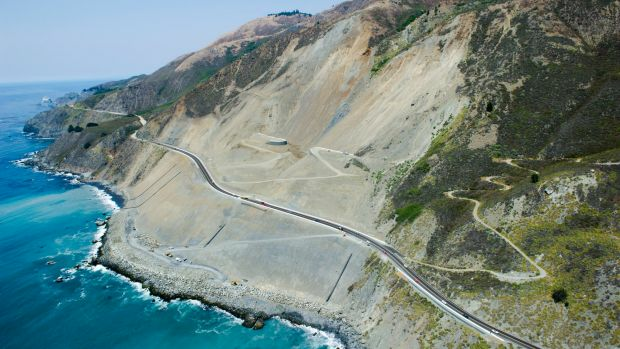 "The scenery, stunning bridges and winding coastal roads are a driver's dream," he says, "but it's clear to see the enormous amount of work that has gone into the reconstruction after the bridge collapse and mudslide. "The small seaside towns isolated by the closure definitely have a special sense of community. So it was great to see them thriving on a beautiful sunny Californian day." 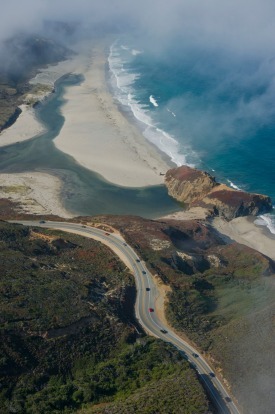 Lined by white-sand beaches and cypress trees, this beachside town built into a hillside alongside 17 Mile Beach is the perfect beginning – or end – to a Pacific Coast road trip.